Mr Coleman and Miss Aston were invited along to our school council meeting to discuss our idea of a fundraising day based on ‘The Arts’. It was very positive and hopefully more details are to follow...! The school council were really pleased to get some responses from local businesses after their request to help with a charity function for the NSPCC. Thank you to the Snowdome and Sainsbury’s for their kind donations. School Council met with Liz Peat, who is the Area Manager for Educaterers Limited. This is the company who organises our school dinners. The children fed back to her and gave her some ideas about foods they would like on the menus and their thoughts on school dinners. Chosen Charity for the Year 2017/18 - Warwickshire Young Carers. The School Council have members from Year 1 up to Year 6. We have been elected by our classmates and our job is to be the voice of the pupils in our school. So far this year we have chosen the school charity, Warwickshire Young Carers, as well as meeting visitors to Birchwood. We have picked presents for our Mothers’ Day sale and elected to hold a WWF day. 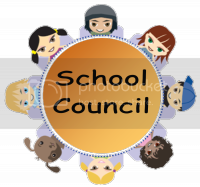 School Councillors meet regularly with Mrs Hill to discuss school issues, and Vice Councillors are invited to the important decision-making meetings. Chosen Charity for the Year 2015/16 - Polesworth Group Homes.